Eros Group offers more Midea with every Midea this September! Dubai, United Arab Emirates – 5th September, 2018: Eros Group, distributor of world-renowned brands like Samsung, Hitachi, Linksys, TCL, Midea, Sonos and many more unveiled exciting promotional offers for Midea products. This offer will run from the 6th of September till the 6th October 2018 only at Midea Showroom, Eros Digital Home, Level 2, Burjuman. Patrons will be able to avail a free Midea product with every purchase of a Midea product. 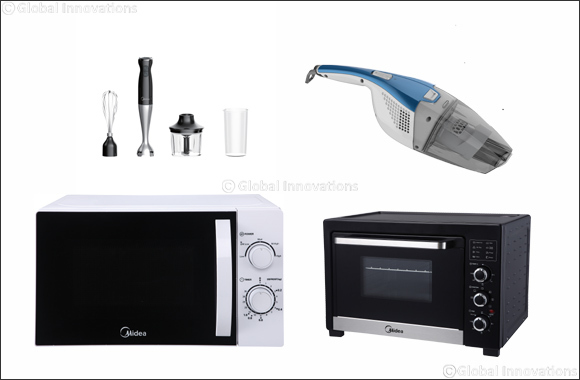 Spend (excluding VAT) AED 200 to AED 499 and get a Midea Handheld Vacuum Cleaner worth AED 99, AED 500 to AED 999 and get a Midea Hand-blender worth AED 149, AED 1,000 to AED 1,499 and get a Midea Microwave worth AED 199, and lastly spend AED 1,500 and above and get a Midea Oven Toaster Grill worth AED 299. Previous Story : Dyson Reveals the Future of Clean Homes.